SYL Hermanos Trade Center, Inc. (SYL) is a leading consqumer goods distribution company. Known for its transparency and instinctive direction, SYL, together with its subsidiaries that handle the diverse distribution business, firmly believes in delivering excellent service to its customers while forging strong partnerships with its principals. Driven by the passion to build businesses and provide employment, SYL Hermanos Trade Center, Inc. was established. 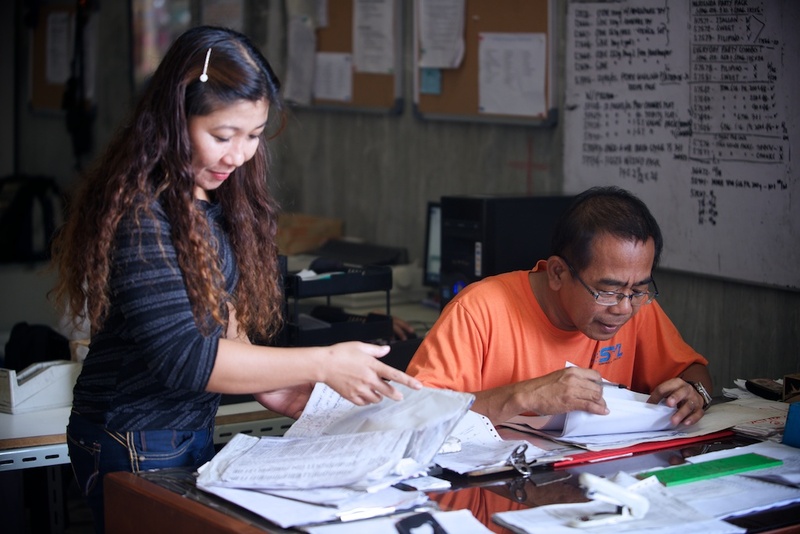 It is a company that offers value and delivers expectations to its principals in the Visayas Island through commitment, hard work, and zeal of one of the best teams in Panay and Negros. Spearheaded by an innovative management and a dynamic team, service became a passion driven value within the organization and providing 100% customer satisfaction was not just a byword but a part of the integrity and patrimony that goes with the name – SYL. Effectively making products available in a diverse community, SYL maintains its quality and service in every endeavor in the hopes of continuously contributing in the economic and social growth in the islands of Panay and Negros. While successfully making a name in the distribution industry, it has fostered values and standards worthy of a legacy that can address the needs of each principal. Experience and heritage in this line of business has made SYL a pioneer, not because of its past, but more importantly, what it can do for the future. Our Mission: To provide exceptional service through people who are passionate about building brands, cultivating new businesses, preserving partnerships, delivering exceptional results and exceeding expectations.Our Vision: To be the ultimate distribution partner and exceptional brand builder delivering superior business returns and expanded portfolio of world-class products as diverse as the communities we serve. 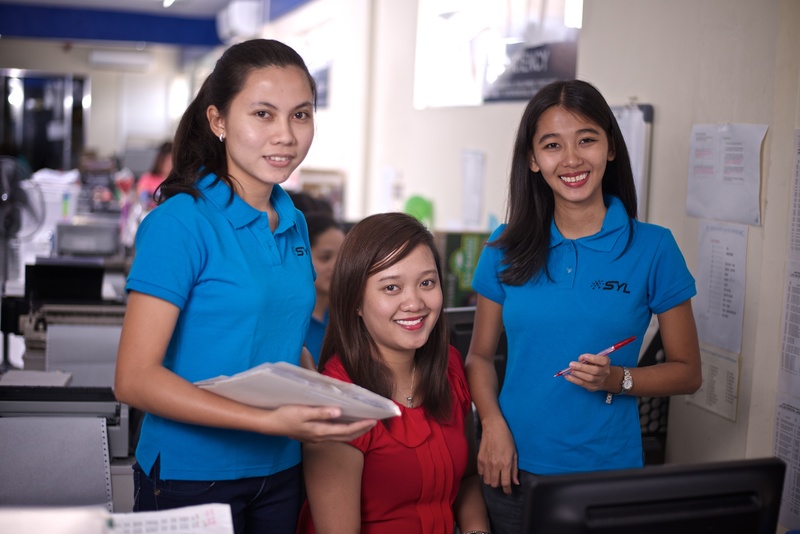 SYL keeps in mind its core values – integrity, innovation, development, excellence, efficiency, humility, entrepreneurial spirit and customer focus – practiced and lived by upper management and the staff, this has brought credibility and deeper purpose for the company down to its employees. SYL upholds and strongly believes in tradition – respect for elders, paying homage to the past, and honoring family. Adhering to these principles and philosophy, even as the company is steered into the 21st century while facing more challenges, it has maintained its business ethics, integrity, and honor resulting to being one of the most respected companies in the Philippines. experience by our elders tell us that they are the master and we are the student. The wisdom that they can convey to the younger generation can build lives where learning from the past has brought progress into the future. Homage to the Past The past shows us where we came from, who we are, and how we became what we are. The heritage of our past – our families, our communities, our societies – is created by our elders. With endless treasures intertwined, it is our history and it has to be respected. We cannot disregard it. Instead, we uphold it so we will always remember. Honoring Family Family is the basic unit in every society. Every value or philosophy starts from the father and the mother as it is trickled down to their children. The family serves as the environment as we grow into the world and experience more of life. We love, serve, teach and learn from one another. Integrity We place honesty and transparency above all other interests. Innovation We encourage creativity, render new ideas, develop unique solutions and give support to the people who are bold enough to do so. Development We hire great people and provide them with an environment for learning and growth. Excellence We are passionate about what we do, as such, we foster a habit of setting goals, detailed preparations and commit ourselves to continuous development. Efficiency We aim to do things right and achieve the best possible. Humility We have the humility to recognize our errors and the understanding that we can always improve. Entrepreneurial Spirit We foster an environment of business-minded people. We find opportunities in any instances and are very aware that numerous seeds have to be cultivated to spring great enterprise. Customer Focus We place our responsibility before our profits. We anticipate customer needs and exceed their expectations. Covering the trade industry in the Visayas, our sales force has strategically placed its distribution reach of the different products in various commercial routes from supermarkets, groceries, department stores, market stalls and sari-sari stores. SYL practices and is highly committed to developing its leaders by recognizing and rewarding them for their integrity, hard work, quality performance and excellence. That same courtesy is extended towards the staff’s well being where loyalty and a long-term career with the company become a choice and a priority. SYL is open to changes and is trying to step into the world of technology where everything is just a click away making the system more efficient and reliable. Creating its own IT team can become a tool to achieve the company’s goals. SYL would like to be established not just as the premier and preferred distribution company but as the industry expert. It aims to improve on its products and services so it can entice qualified prospects. This goal can generate new principal and customer growth while maintaining strong relationships with the current ones. 1. SYL has built a reputation on its financial capacity and approach to business. 5. Aligned with the needs of the principals, transparency and panned out strategies are done regularly. 6. Value of integrity and transparency are one of the corporate values practiced by management and the employees.